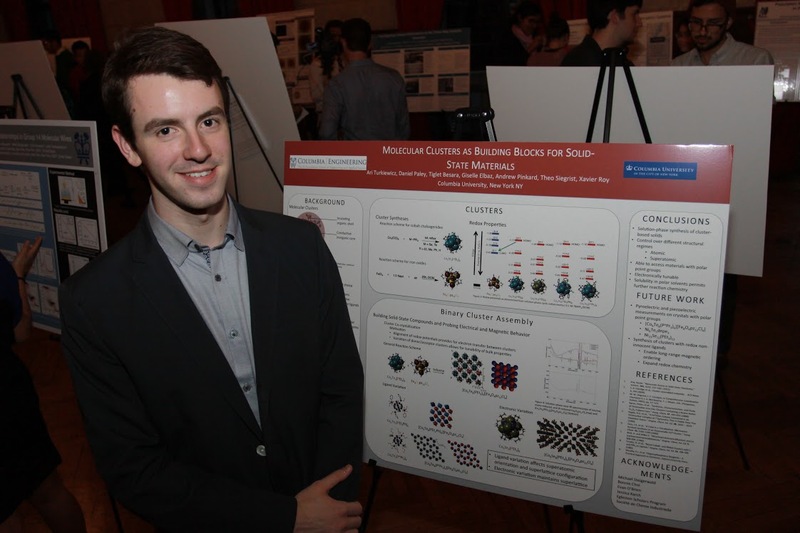 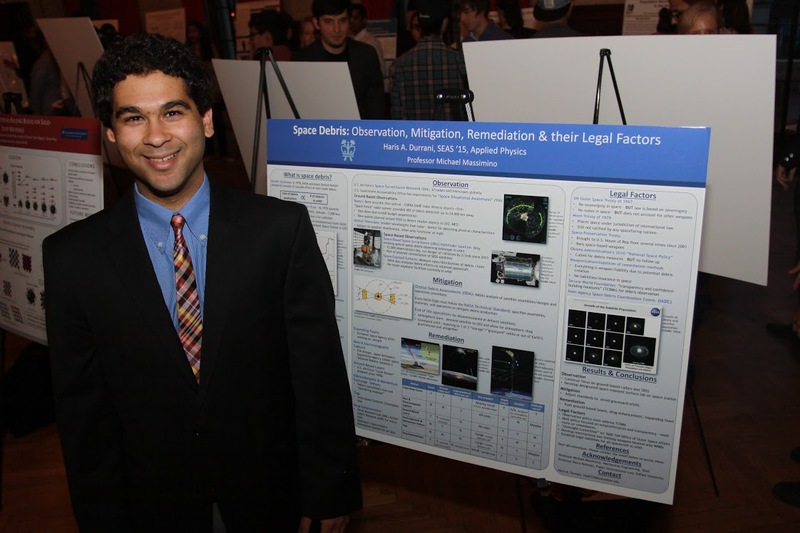 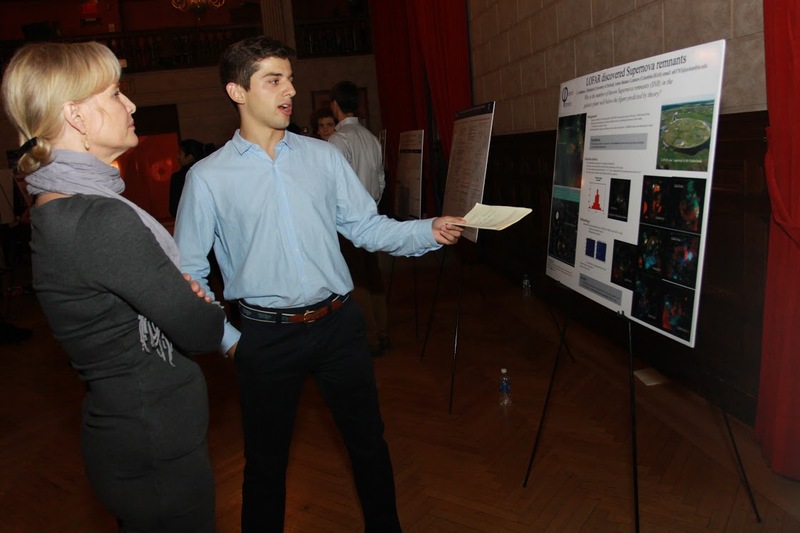 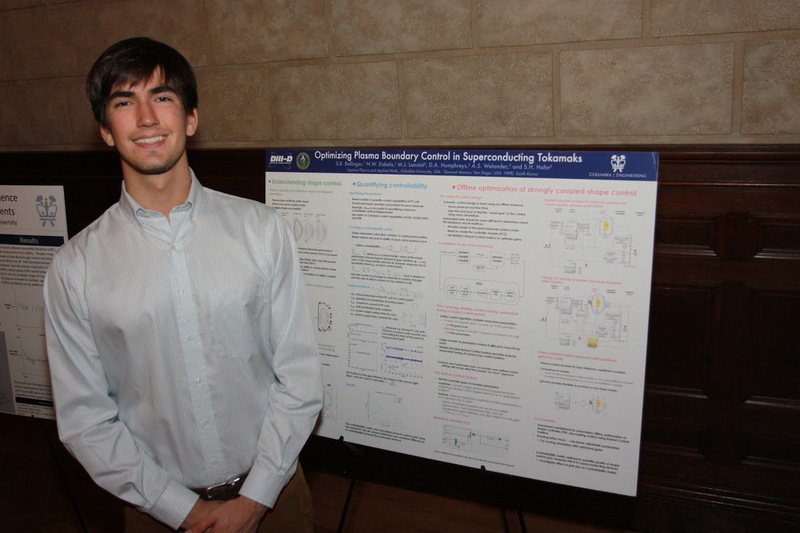 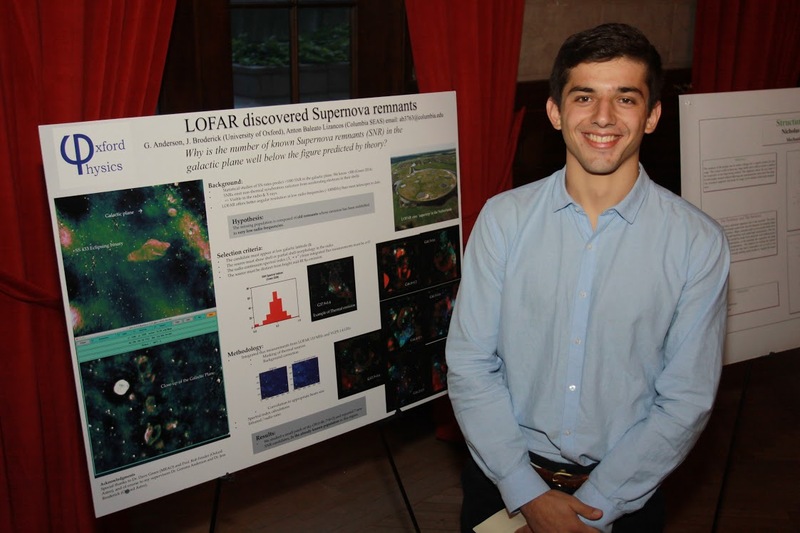 Several APAM undergraduate students presented posters at the third annual SEAS Undergraduate Summer Research Symposium on Tuesday, October 7, 2014, in the Teatro Italiano. 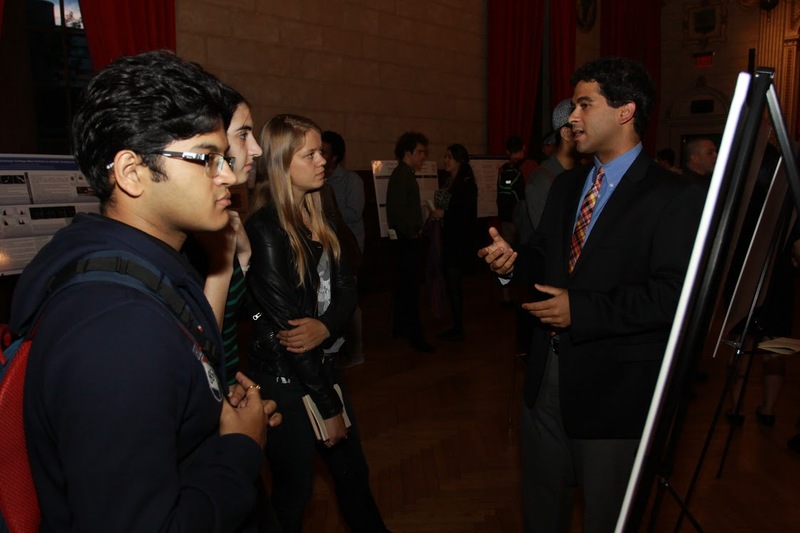 This event was hosted by SEAS Undergraduate Student Affairs and Global Programs, the Engineering Student Council, and the Columbia Undergraduate Scholars Program. 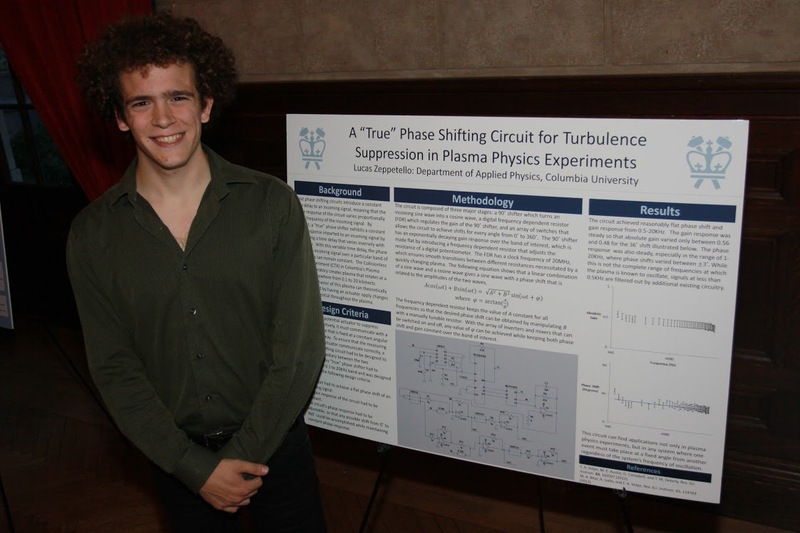 Research: "Molecular Clusters as Building Blocks for Solid-State Materials"
Research: "Space Debris: Observation, Mitigation, Remediation & their Legal Factors"
Research: "A 'True' Phase Shifting Circuit for Turbulence Suppression in Plasma Physics Experiments"
Research: "Optimizing Plasma Boundary Control in Superconducting Tokamaks"